Colorado homes are unique because of the outside-in-approach to interiors. When summer is in full swing, we open our windows and doors and let the warm breezes in. But when there’s snow on the ground and a bite in the air, it’s time to upgrade your rooms to keep you cozy. How do you do this without interrupting your current design? Nothing feels better on a cold evening than wrapping yourself up in a soft throw with a hot cup of tea. Some of our favorite blankets feature faux fur or microsherpa, thick knit fibers, and luxurious fabrics. Draping a throw over your sofa or folding it at the foot of a bed gives your space an added layer of texture, while imbuing it with a touch of winter elegance. The song isn’t named “Gold Bells” or “Copper Bells”, and for good reason. Silver is a classic winter color, and brings a level of glam other metals can’t imitate. Design Studio’s owner, Judy Goldman, comes from a family of Antique Silver Plate experts. 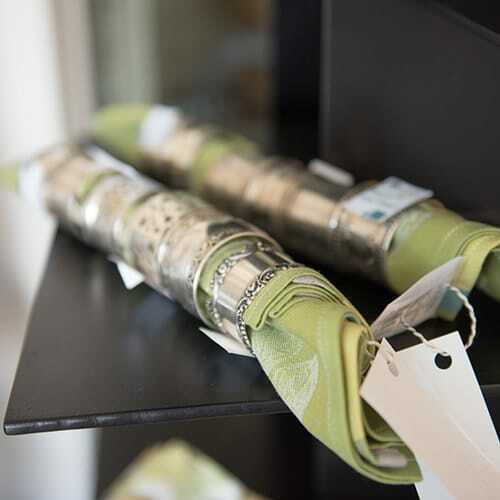 Judy uses some of her favorite pieces throughout her home, particularly in the dining room where solid silver napkin rings and serving pieces take center stage. Silver matches seamlessly with almost any type of table scape, whether your dishes are blue, white, cream, beige, or black, silver is the perfect accent color. 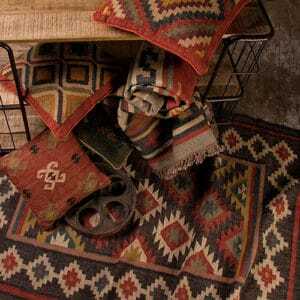 Keep your toes toasty with the help of a new area rug for your wood and tile floors. While neutral browns and grays blend easily with almost any design, Design Studio also carries a variety of bolder statement pieces that you can easily integrate into your existing design. Note, if your sofas, bedding, or upholstery are neutral, a patterned woven rug with a warm color palette could be the perfect addition to your space. One of our favorite winter decorations are beautiful string lights. Today’s LED versions are no longer a clunky accessory, but come in a variety of shades, colors, lengths, and materials. 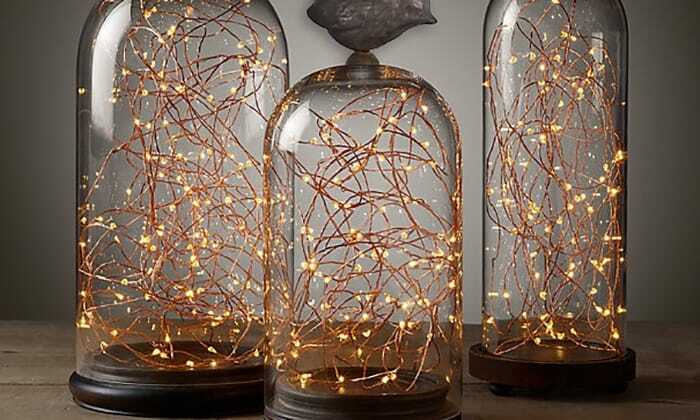 Our favorite string lighting trend includes battery-powered copper wires. These small light fixtures are beautiful enough to put on your mantle, coffee table, dining table, or to wrap along your headboard. They offer a soft, ambient glow and are reasonably priced enough to install in every room of your home. In the warm summer months, you may have transitioned to thinner, light-colored sheer draperies. As the cold approaches, keep the chill of winter out of your home with thicker and more darkly colored drapery options. Solid colors are easy to integrate throughout your home, but a pattern could be a wonderful addition of texture to a room where neutrals reign supreme. Design Studio is home to hundreds of fabric options to choose from, so your custom window coverings are always seamlessly woven into your home’s design. Visit our gallery for more Colorado home interior design photos.